Cheval Mirrors from Brandenberry Amish Furniture add elegance to your bedrooms. Plus doing their day job of confirming how great you look. So check out the cool selection below. Because you’ll love their styles. And notice that they range from traditional to modern. So which one best mirrors your tastes? A beautiful arch design highlights the Shaker Cheval Mirror. 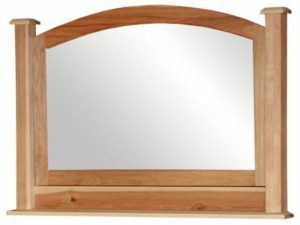 Brandenberry Amish Furniture offers a great selection of cheval mirrors. And you can choose from a variety of traditional styles. Such as Mission and Shaker designs. But whatever the design, you’re assured the highest level of craftsmanship. Because Amish artisans custom-make each mirror. And they use quality materials. Like solid hardwoods. So you’ll love our collection of mirrors. Even if you’re an experienced furniture enthusiast, or new to the world of Amish furniture. Now your greatest challenge? Selecting which mirror best fits your home.